Superb support for your keyboard! 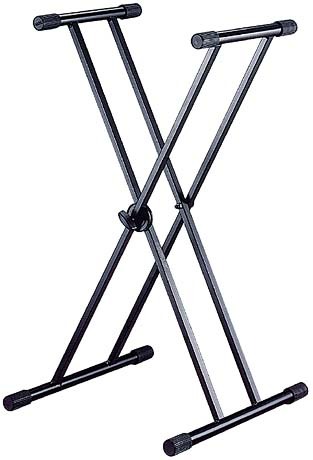 A double-braced, single-tier 'X" stand featuring the GripTight infinite-height adjustment disk. Weighs 8.8 lbs. and holds 195 lbs. Adjusts from 25" to 39-1/2" high and anywhere in between. Protective rubber grippers for secure positioning.